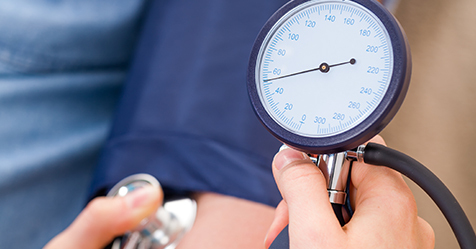 Are you at risk of hypertension or high blood pressure? Read this first person account from someone who realized sooner than later how his lifestyle put him at risk for hypertension and high blood pressure. Why stress? Keep it simple to avoid the silent killer. A 29-year-old professional in Hyderabad recounts his story as a high blood pressure patient. It was a Tuesday morning at work. I remember feeling a bit groggy owing to the new TV show I had discovered the night before. I grabbed my cup of Black Coffee and braced myself for yet another regular day at work. But by lunch, the day was far from regular. The grogginess had grown into a mild headache at the back of my neck and others questions were being met with a dizzied stare. I'd headaches before. Being hungover at work was not a new feeling for me. But soon I realized that today was different. Acting on instinct, I headed to see the doctor. The doctor informed that my blood pressure reading was significantly higher than it should have been. It was at 160/104. Quite a leap away from the normal of 120/80. He reassured me that the readings were off the chart for my age but I was okay. He, however, wondered what could have caused a sudden spike? I was quite surprised myself. Apart from the occasional stress-headache, I'd no history of high blood pressure. He ordered a thorough list of lab tests. They all came back fine but by then I'd collected a lot of information on this condition. I understood what put me at risk of Hypertension/High blood pressure. Although I did not have any family history of Blood Pressure, there were several things about my lifestyle that could have triggered it. I wasnt obese but definitely overweight. My schedule was quite erratic; replete with high cholesterol diets and late nights. The biggest culprit of them all was no physical activity whatsoever. No morning runs, no minutes at the gym, not even a casual post-dinner walk! The medical analysis also pointed out the stiffening of my blood vessels and arteries. This was hand in hand with another condition known as atherosclerosis, where plaque of fat and cholesterol had built up in the walls of my arteries! What could have happened if I didnt visit the doctor that day? Must read about -Heart Failure: 7 things you should absolutely know right now! What changed for me after that day? The change for me wasnt overnight but I have a much healthier lifestyle today than ever. I started by controlling my diet- cutting down on my salt and high-fat intake. You will be surprised to know how easy it is to control your diet. I started going for a 30 min jog in the mornings. This helped me lose the excess weight and also stay fresh during the day. I was always a social drinker and I make sure I dont overdo the Friday nights. During those days I came across some staggering facts. That Hypertension accounts for almost 57% stroke deaths in India. And that 25% of all patients have a city lifestyle. It has also made me realise that in spite of having no real cure for high blood pressure, it can be controlled by some simple measures. Now, I visit the doctor at least once in three months and get my blood pressure checked. I have started enjoying my fruits and salads as much as the wild nights at the bar. But above all, I have learnt how not to let hypertension get the better of me. Have a question? Consult Dr. Sunil online.